Virtual Reality (VR) technology creates an interactive 3D experience that immerses the user in the virtual environment through the use of a headset. It’s an exciting innovation in the gaming world, but now VR is making headlines in luxury real estate. VR technology is still relatively expensive, but insiders suspect that VR is poised to transform the real estate industry within the next five years. VR home tours offer great benefits to sellers, buyers and real estate professionals. Imagine a world in which you show a home only once, or you show clients only one home. That’s maximum efficiency, and VR places this scenario within the realm of possibility. Much like panoramic photography changed the way people sell and shop for homes, VR will take the efficiencies of “seeing more” to the next level. When you can experience a real location remotely, you can make better decisions. With VR, real estate professionals will be able to help shoppers hone their list to serious inquiries only. Sellers can keep their homes livable without having to make them “showroom ready” every time someone wants to see their home. Most of the shopping can be done before committing to the trip. Did you know that people stay on a page with a 3D walk-through 10x longer? According to YouVisit, VR showings result in longer engagement, higher conversion and more measurable data. VR lets you see what your client is seeing, as they see it. This way you can speak to the space as you would in an actual showing. 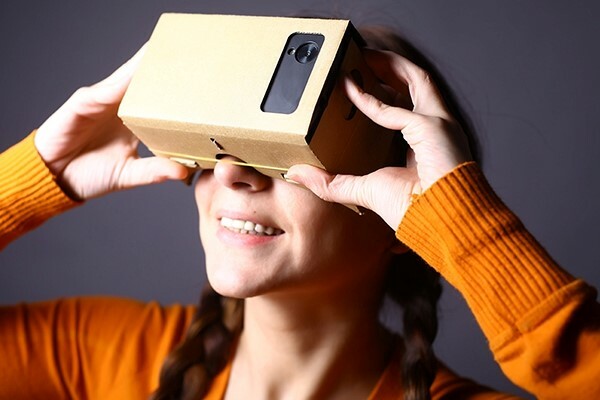 With Google Cardboard VR Headset units costing around $10 each, you can send interested clients pre-loaded content tailored to their wants and needs. At such a low cost, you can easily afford to label the units you send out and reinforce your branding. As VR takes hold in the real estate industry, more agents will be adopting this cutting-edge technology. Stay ahead of the competition by seeking out practical uses for these innovations in your business now.